Surveying journalists has become an annual tradition around PWR: celebrate the holidays (check), ring in the new year (check), conduct journalist survey (check). This year, we asked 223 journalists about their news release preferences, social media usage, how often they want to hear from PR folks, how they use mobile, and more. We have oodles and scads of useful info for your reading delight. 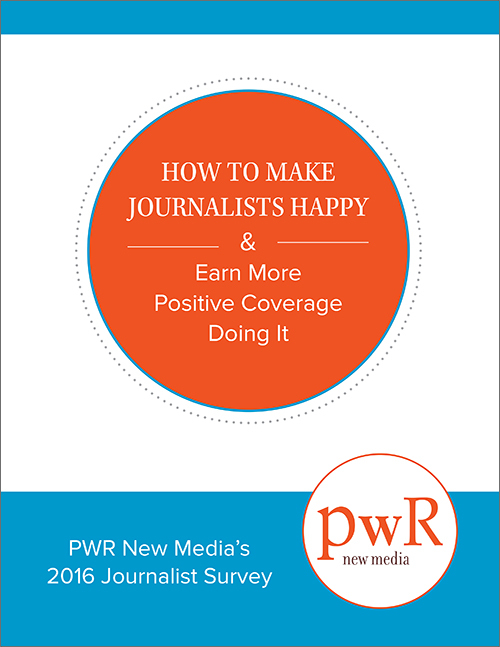 Check out our fresh-off-the-presses whitepaper: How to Make Journalists Happy & Earn More Covering Doing It – PWR New Media’s 2016 Journalist Survey. See more media relations tips and ideas from the PWR team here.